In conjunction with the production of the opera Yasou Aida! 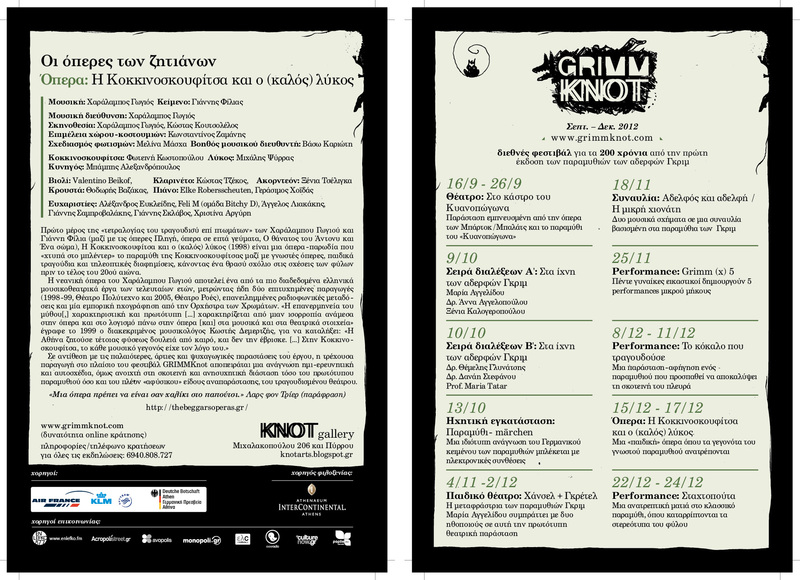 at the Athens Festival, the music theatre company "The Beggars' Operas" and the Michael Cacoyannis Foundation are organizing a conference on the subject "Opera and Politics". The conference will take place at the Michael Cacoyannis Foundation (206 Peiraios str., Tavros, Athens) on Saturday, June 30 and Sunday, July 1st. The language of the conference is Greek. Admission is free. ―Is opera an intrinsically bourgeois or conservative genre? ―Does opera have a dynamic, politically active potential, or its value is to be found solely in its aesthetic dimension? ―Is really immigration the only way for Greek opera professionals? ―Are contemporary alternative approaches to music theatre really "opera"? ―Is opera in modern Greece meaningful beyond its dimension as a museum art? "Opera at the baricades: topicality and aesthetic autonomy in the history of music theatre"
"Modernization and tradition in contemporary institutional music theatre"
"'Is this opera?' Self-management in music theatre"
"Opera, decentralization and alternative production models"
"Giants and Nibelungs: bridging the gap between avant-garde theatre and opera"